Business calls at any time of the day, and a lot of industries have to keep going even in the face of the harshest man-made and natural disasters. Every area where a business operates is vulnerable to contingencies, and business owners must always prepare for any eventuality. It’s not everyday that companies encounter fortuitous events beyond their control. But, it is always good to take precaution and prepare for any unpredictable circumstance that can make or break your business. Floods can wreak havoc to your business in more ways than one. A lot of businesses, like prime retailer National Bookstore in its early days, have suffered losing inventory, expensive equipment, and important files and documents to the waters following storms. In a typhoon-prone country like the Philippines, some areas vulnerable to floods can face heights of rain-caused overflow in minutes. Businesses are better off checking if their place of operations is safe from floods and what instances trigger them. Whether transferring your headquarters is doable or not, knowing whether flood is a contingency to consider will give you the leverage to prepare. With it, you can ready countermeasures, like stashing emergency supplies and equipment, and help better place your company’s assets away from harm. As the adage goes, whatever burns never returns. Fire is one of the most devastating man- made disasters that can harm your business. The fire that engulfed Candy Corner in 1999 is an example of the damage it can cause. The company’s operations were just picking up for further expansion when the headquarters it recently relocated to caught fire, losing P9 million in the process. 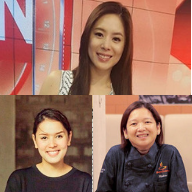 The blaze engulfed all of Candy Corner’s new equipment, important files and documents, and about P6 million worth of inventory with it. One of the ways to prevent similar events is following all fire safety standards. Getting advice from the Bureau of Fire Protection on how prone your office or building is to fire helps in preparing for any eventuality. Also, installing smoke alarms, fire evacuation plans, and fire exits in your office can help prevent casualties if a blaze does come off. The Philippines sits along the Pacific Ring of Fire, which means that it is prone to natural calamities like earthquakes, which stem from the constant movement of the Earth’s tectonic plates. Earthquakes can damage multiple properties in one jolt, and unlike weather disturbances, their coming cannot be predicted. However, there are ways to prepare for them. For instance, Japan, with its large population and high business profitability, has prepared countermeasures for quakes by making a national policy on constructing buildings. 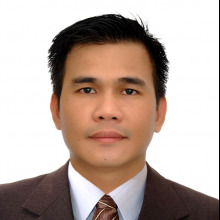 In the Philippines, the National Building Code ensures the structural integrity of buildings. Business owners can check whether their offices or rented spaces adhere to these standards before officially starting operations in a facility. Also, training employees through earthquake drills can help avoid casualties and further damage to property. Even the best businesses are prone to theft and fraud, among other criminal activity. However, there are ways to effectively get around the possibility by always being prepared, whether the unfortunate happens or not. One of the ways entrepreneurs can secure their businesses from bad elements is by investing in assets like 24/7 CCTV cameras to monitor activities in a store, heavy vaults that can store important documents, equipment, and cash, and automated financial systems. These can help prevent any ill-willed activity and give authorities a head start when the unfortunate happens. 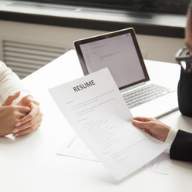 Also, business owners should be keen on who they hire, making sure that job applicants who will soon be part of their companies are trustworthy, reputable, and have strong moral standards. Unfortunate circumstances often come unpredictably. Sometimes, even the most prepared businesses can suffer damages. How do you make sure that your business is secure if all else fails? The answer: get a business insurance. Insurance plans help businesses recover their losses from unfortunate circumstances that are beyond any physical control. 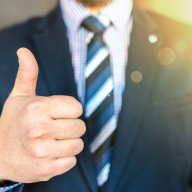 No entrepreneur can predict the future accurately, so insurance plans for business provide a safety net for its continued operation after devastating incident like fires, floods, earthquakes, theft, or fraud. Also, getting business insurance makes companies more reputable. It is an item in a company’s arsenal that tells others that their operations will keep going even in the face of fortuitous events and unpredictable calamities. With the tips above, you can now better prepare your business for any eventuality. Even in the midst of challenges, stay prepared for the worst, so when the opportunity comes, you and your business are ready to clinch success. Want more business tips? 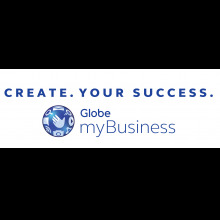 Sign up to Globe myBusiness Academy to get exclusive multimedia content and updates on the latest events, seminars, and conferences with business experts!